Introducing the all-new 2014 E-Series 42” (42.02” diag.) Full-Array LED Smart TV with an ultra-narrow 10mm frame, crystal-clear LED-lit picture, and a faster, easier-to-use Smart TV experience. With built-in Wi-Fi included, the E-Series connects you to the latest hit movies, TV shows, and music from premium apps like Netflix®, Amazon Instant Video™, VUDU™, HuluPlus™, YouTube®, Pandora® and more. And not only is it smart, this TV is packed with the latest technology—like Full-Array LED for superior light uniformity, and Active LED Zones™ x6 for deeper black levels with a superior 2 million to 1 contrast. Full HD 1080p and 120Hz effective refresh rate makes them perfect for sports and fast action scenes. 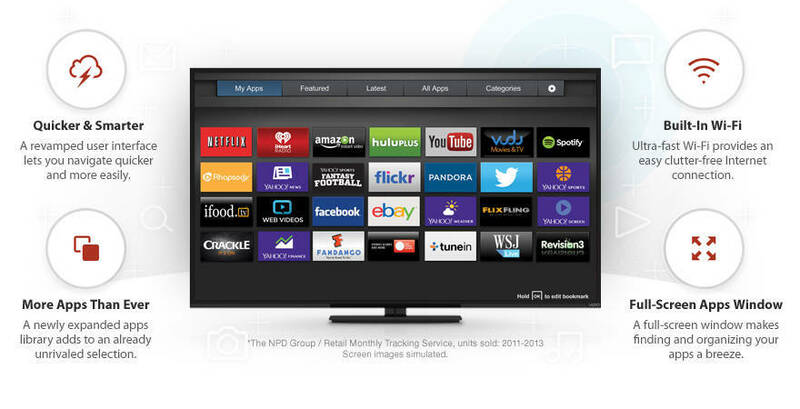 VIZIO E-Series: Picture-Perfect, Simply Smart. VIZIO Internet Apps Plus® – Instantly enjoy the latest hit movies, TV shows, music and even more premium apps straight from the Internet to your TV. Active LED Zones™x6 – Dynamically adjusts the LED backlight per zone creating deeper, pure black levels and higher contrast. E-Series Signature Design – An ultra-narrow 10mm frame, a 30% thinner profile, and slimmer new base makes the new E-Series a perfect upgrade to any room. 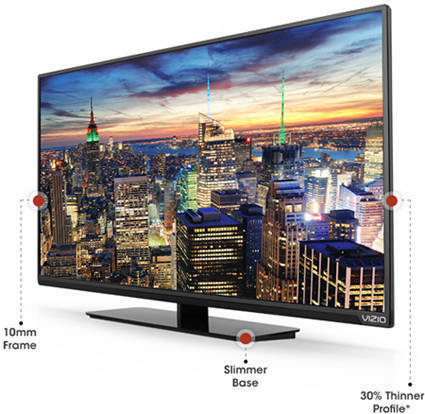 1080p Full HD resolution – Enjoy high-definition TV with a crystal-clear picture. 2 million to 1 Dynamic Contrast Ratio – Superior contrast for stunning color & detail, from deep blacks to radiant whites. DTS Studio Sound™ – Simulated surround sound solution with deep bass, high frequency detail and clear dialog for an immersive surround experience using the TVs built-in speakers. Advanced color management – Ensures optimal accuracy of color and detail across all your devices. Smart remote – Easy to use remote with one-touch access to your favorite movies, TV shows, and more. New TV settings menu with built-in user manual – More intuitive menu system with quick, onscreen access to the user manual. No need to search for a paper user manual. Ambient Light Sensor – Intelligent backlight sensors automatically adjust to surrounding brightness for a great picture in any room. Energy Star 6.0 – More energy efficient than conventional LCD TVs to save you even more on energy bills. 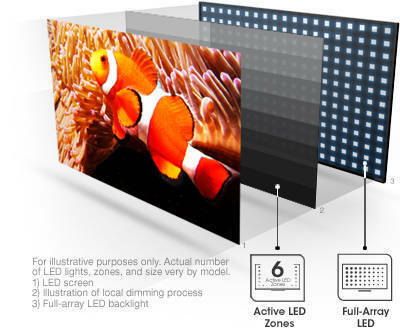 Active LED Zones™ x6 (local dimming) dynamically adjust the LED backlighting in each area of the screen to match the content on the screen providing unparalleled picture contrast and crystal-clear detail with deep, pure black levels. 120Hz Effective Refresh Rate: 120Hz effective refresh rate enhanced with backlight scanning for clear fast action scenes. 1080p Full HD: Amazing sharpness of 1080p Full HD resolution delivers detailed textures with stunning fidelity. 2 Million to 1 Dynamic Contrast Ratio: Dynamic contrast ratios of up to 2,000,000 to 1 offer a stunning color range with deep blacks and radiant whites. 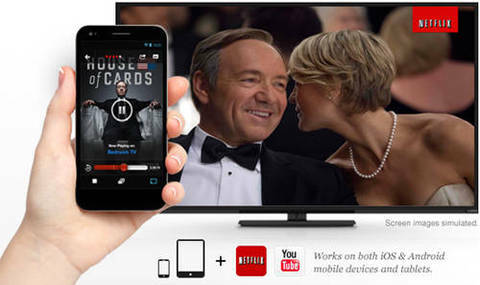 VIZIO Internet Apps Plus® is your passport to a world of entertanment, movies, TV shows and more. All on your schedule, directly on your HDTV. *Source: The NPD Group Retail Tracking Service, LCD only-apps included, Total Units sold in the U.S.: January –September 2014. The all-new 2014 E-Series design introduces a side profile that’s up to 30% thinner*, an ultra-narrow 10mm frame, and a new space-saving slimmer base*. The new design puts the focus right where it should be—on the screen—and is the perfect upgrade to any room. * Compared to previous generation E-Series HDTV models. Advanced Color Management: Advanced color management ensures optimal accuracy of color and detail across all your devices. Ambient Light Sensor: Intelligent backlight sensors automatically adjust to environment for a great picture in any room. DTS Studio Sound: Simulated surround sound solution with deep bass for an immersive surround sound experience. On-Screen Manual: Quick, on-screen access to the user namual. No need to search for a paper user manual. More Connectivity: 3 HDMI and 1 USB ports are perfect for connecting all your high definition entertaiment devices to the TV. Energy Star 6.0: More energy effcient than conventional LCD TVs to save you even more on energy bills.